Posted on June 29, 2017 at 6:21 am. The Illinois House Executive Committee discussed state sponsored online casino games legislation at a hearing in the state house on Wednesday, but failed to prepare the bill for a full House floor vote. The House Bill 479 originally passed through the Illinois senate on June 1 by a vote of 42-10, approving online casino, poker and daily fantasy sports (DFS) legislation to the surprise of many observers, including several online gambling advocacy groups and passionate Internet poker organisations like the Poker Players Alliance. The bill needs to pass through the house and if it is enacted as planned, casinos and racetracks in Illinois would be allowed to offer online gambling services. It would also call upon the existing Illinois Gaming Board to create an autonomous Division of Internet Gaming, which would issue five-year iGaming licenses costing $10 million, with regular tax payments of 15 per cent of the operator’s annual online gaming revenue. Since then, what little momentum the efforts to legalise online gambling in Illinois had has dissipated due to multiple hearings being re-shuffled and a budget debacle that has engulfed the state for years. On Wednesday’s hearing, H 479 was essentially passed over without significant debate or a floor vote. A standalone bill for daily fantasy sports S 1531 was also briefly mentioned alongside H 479, but both were not heard or voted upon by the Executive Committee. Legislators have until Friday to deliver a budget for the 2018 fiscal year and has failed to do so for the past two years in what has been deemed a budget crisis, leaving Illinois in the precarious position of being the first state in America to possibly have its credit rating reduced to junk bond status if the bill is not resolved. Industry analysts predict over $266 million could be generated for Illinois in five years should the state legalise online poker and casino gambling – that’s not yet including an additional $19 million if daily fantasy sports is successfully passed through the house. 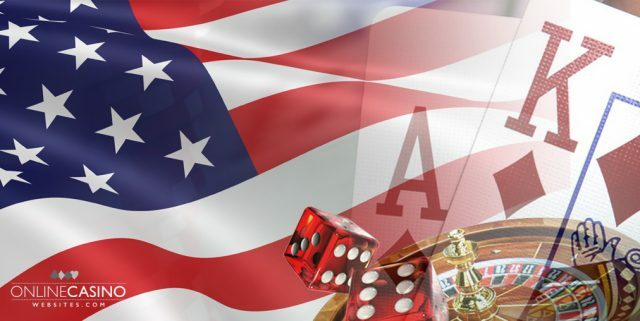 While several representatives of the Poker Players Alliance and other advocacy groups have testified before the committee to discuss the obvious benefits of regulated online gambling, hopes are fading fast for a potential game legislative changer any time soon. Perhaps state legislators should look to New Jersey’s effective online gambling laws and booming iGaming revenue for economic inspiration and motivation?